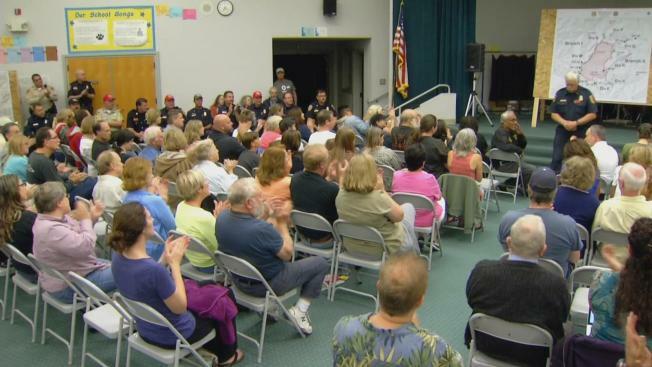 Firefighters entered a community meeting in the Santa Cruz Mountains to rousing applause Thursday night, appreciation for their ceaseless work on trying to contain the Loma Fire. But they also faced a lot of questions from the many evacuees who have no idea whether they'll have a home to go back to. It was the first community meeting between neighbors and first responders regarding the wildfire that has scorched more than 4,100 acres and destroyed eight homes. "Give them insight into the initial attack and strategy," was the goal of Thursday night's meeting, according to Cal Fire Batallion Chief Jonathan Cox. The gratitiude from residents quickly turned into concern about their properties. "We're smack right in the middle of the fire, and we don't even know if our stuff is destroyed," evacuee Daniel Garcia said. Resident Dawn Straughn, whose home is along Loma Chiquita Road, could only hope and pray. "We know that the area around has burned, so we're hoping we'll have a home," she said. Evacuees haven't received a full update all week on whether the flames have wiped them all out. Cal Fire said most of the fire is holding at Casa Loma Road, and they are getting a better handle on it. They're hoping to get residents back into their homes within the next week. One other frustration residents expressed at the meeting was road conditions. They say the already rugged roads are being damaged further by fire crews moving equipment. 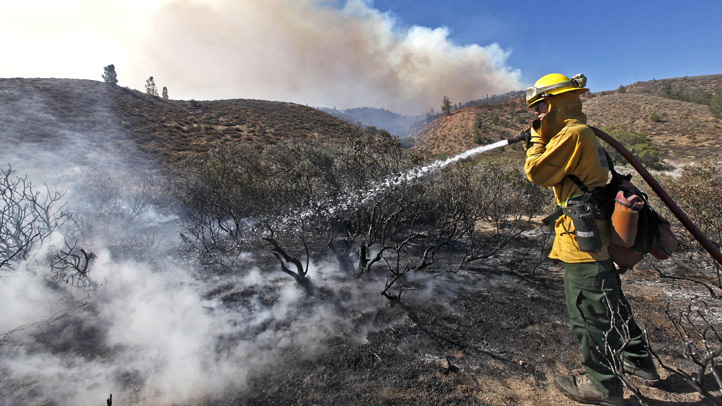 Cal Fire said it will fix what it breaks.